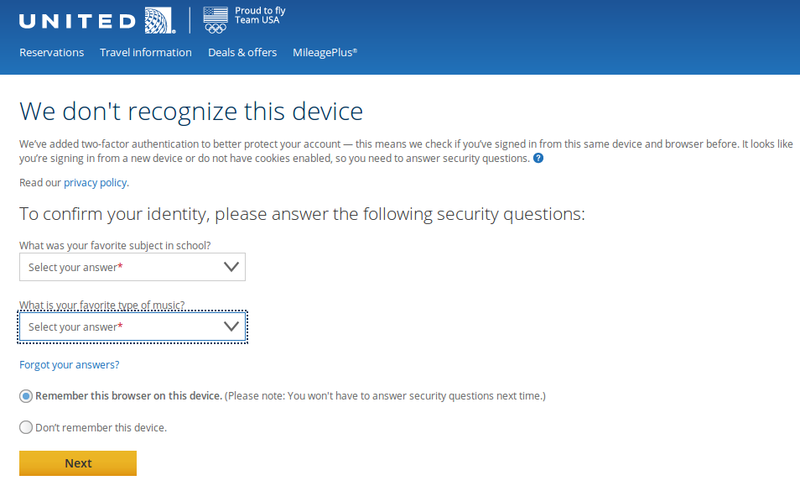 To better protect your United MileagePlus® account, later this week, we’ll no longer allow the use of PINs and implement two-factor authentication. It doesn’t count as proper “Something You Have”, if you can bootstrap any new device into “Something You Have” with some more “Something You Know”. This entry was posted in Security, Syndicate by gerv. Bookmark the permalink. Halifax / Lloyds banking group in the UK still do this. To log in to your e-banking, you need firstly your password, and then secondly ….. wait for it … 3 characters from your second password. Sigh… by that logic, having both a username and a password would count as two-factor. What’s the point in even trying?